In the twenty-odd years since Amazon was founded as an online bookstore, the world’s largest Internet retailer has transformed the publishing business. Amazon is now responsible for about two-thirds of all sales of print books as well as eBooks. With that much power, maximizing the Amazon book page for your self-published book is a savvy marketing move. Does this book fit the category I’m looking for? Does this book look professional? Is this cover eye-catching, appealing? If your book fails any of the above tests, your potential customer will click away to find something that looks more interesting. Maximize that vital first impression by making sure your cover fits the genre, uses colors and images that match the tone of the book, and is professionally designed. Set The Right Price. 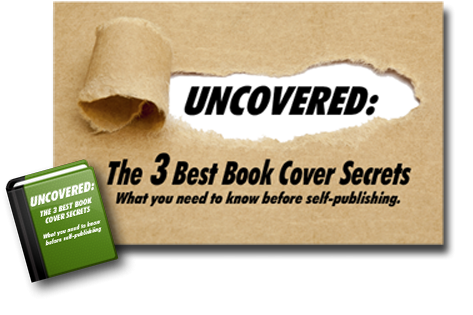 Choosing the right price for your self-published book is a challenge. Fortunately, Kindle Direct Publishing offers a (beta) Pricing Support service to help you make an informed decision. Located in the eBook Pricing section of your KDP book page, this service analyzes sales data for books similar to yours in order to determine the best price. Since self-published writers don’t have the overhead of a major publisher, indie authors can take advantage of price flexibility to attract customers with a lower price—while still reaping the benefits of larger profits. Stop Being An Egghead. Folks who are interested in one of your books may also be interested in you. Your publicity photo should appear under the product details of your Amazon page in the “More About The Author” section. If it doesn’t, or if all you see is a gray box or an egghead, then you haven’t set up your Author Central page. 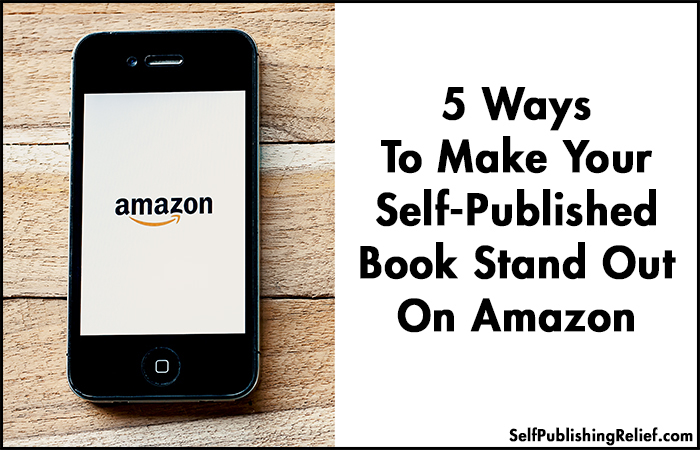 Claiming your Author Central page at Amazon is simple and free. From the dashboard you can upload a publicity shot, an author biography, promote events, feed your blog onto the page, and claim all your books. Take The Perks Of Being A Series. If you’ve written a book series, you also have an opportunity to snag a Kindle Series Bundle page. To take advantage of this perk, complete the series information boxes in your Kindle Direct Publishing dashboard for all the books in the series. The series information will then be displayed across the top of your Amazon page along with a clickable composite image. By clicking that image, readers will be directed to the series page where the individual books are listed, as well as to a “buy” button that lets consumers purchase the entire series in one fell swoop. To facilitate the algorithms, make sure you type in the series name exactly the same way for each book, and be consistent about numbering. Ditch The Dull Description. The most important part of your Amazon page is the description. This is your sales pitch to millions of potential book buyers—don’t make it boring! Second to the actual book, these may be the most important words an author writes. Give Them Glitter, Not Gold. Don’t weigh down your description with every plot twist and detail. The point of the product description is to leave them dazzled and wanting more so they feel compelled to buy the book. Give your potential customers a clear sense of the conflict and stakes of the story, and make sure to end your book description on a cliffhanger. Show Social Proof. Trying a new author is always a risk. If you have reviews from major review publications, book bloggers, or blurbs from writers in the same genre, add them here! That will signal to potential customers that this book has been read and enjoyed by trusted gatekeepers. Verified, new, and “most helpful” reviews are ranked more highly on your Amazon page, so efforts made to develop relationships with book bloggers and Amazon reviewers in your genre will go a long way toward making your Amazon page a reader magnet. Make The Text Pop. KDP allows you to use basic html commands to format your book description in compelling ways. The details section of your KDP book has a box for the description where you can use these tags. You can boldface, italicize, indent, use larger-sized headings, make numbered or bulleted lists, underline, make horizontal lines, etc. Check out the supported html tags and attributes allowed in Amazon descriptions. Question: When you’re considering buying a book from a new author, what influences your decision most: cover, description, author name, reviews, or price? When I buy a book, what influences me the most is the description. I also like to check the biography. I am a very visual person so the cover art is what grabs me first. I haven’t seen many new author covers that I’ve liked lately…they seem so “stock” or over done. It must fit the book content. Secondly is the description; not too much about the storyline but enough so you know what you’re getting. Thirdly, I do tend to be influenced by the author pic and bio. Again, it tells me a lot about the content of the book. Price today does matter..but if I like what I see, I’ll skip the Latte and go for the higher price.